Let’s get the St. Patrick’s Day parties started with this Lucky Leprechaun drink! Getting in the spirit of the holiday with a cocktail like this is always fun! This is a drink for those of you who aren’t whiskey drinkers, those of you who aren’t going to celebrate St. Patrick’s Day with Guinness and some Jameson. The star of this Lucky Leprechaun cocktail is actually tequila. Because we don’t have to wait for Cinco De Mayo…we can drink tequila whenever we want to. 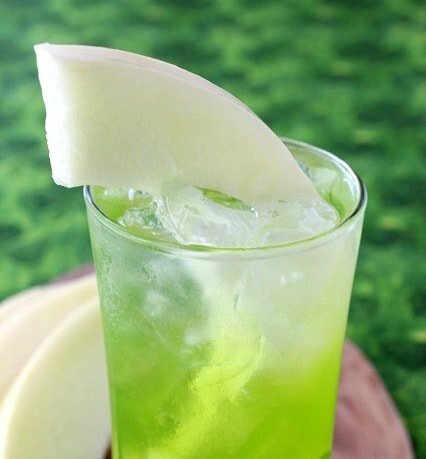 This is a festive, easy drink that will get you in the spirit of St. Patrick’s Day and keep you going into the night. It’s boozy, but not so much that you’ll be spinning around after one drink. 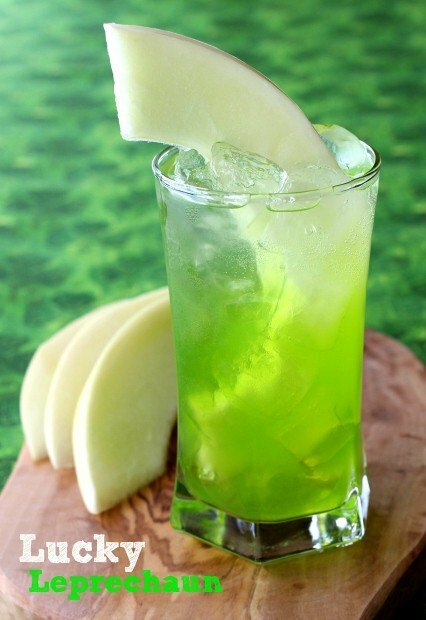 I wasn’t sure at first if the melon liquor was going to work well with tequila, not that I have found much that doesn’t work well with tequila but using Midori was a first. But come on – I needed this drink to be green, right? Mixing these drinks up just takes a minute to do…you might want to think ahead and make the base in large quantities and keep it in your fridge. That way you can top with the seltzer for each drink and not have to play bartender all night. Playing bartender is actually my favorite thing to do – but that’s me, so planning ahead might be more your style. 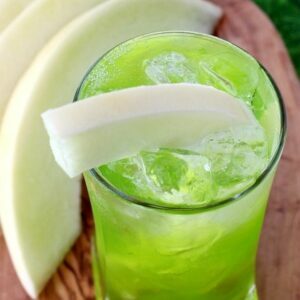 Just mix the tequila, melon liquor and pineapple juice together in a glass filled with ice. Top it off with a little seltzer and a melon wedge and you have a Lucky Leprechaun. All that’s left is the food – which I definitely think I covered this week, especially as far as appetizers go and even what to do with all those leftovers. You should still put out your bottles of whiskey for your whiskey-loving friends (or family) that might be over, but these drinks are a lighter, refreshing alternative. Also for your whiskey-loving friends you should grab a bottle of Hornitos Black Barrel tequila that’s aged in whiskey barrels…they’re definitely going to love that. Add the tequila, melon liquor and pineapple juice to tall glass filled with ice. Stir well, then top with seltzer. 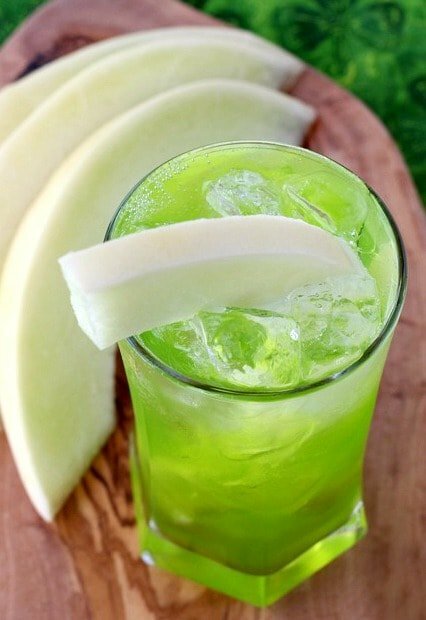 Garnish with a melon wedge.